Join us Saturday, June 2nd, for The Open Mat’s Takedown Radio show. 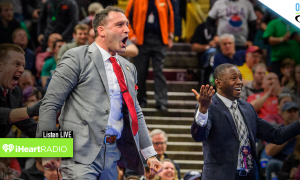 Takedown Radio is hosted by Scott Casber, Tony Hager, Michael Harvey, Jace “The Intern” Williams and Brad Johnston live from 9 to 11:00 A.M. (CT) on the iHeartRadio App (Search KXNO 1460), KXNO.com or on AM Radio 1460. Call the Fareway Foods Fresh Hotlines 866-333-5966 or 515-284-5966 for contests and conversation. Now available in iTunes, Stitcher and Spreaker.